you can export from most video packages as a jpeg or gif sequence which will give you sequentially numbered image files. 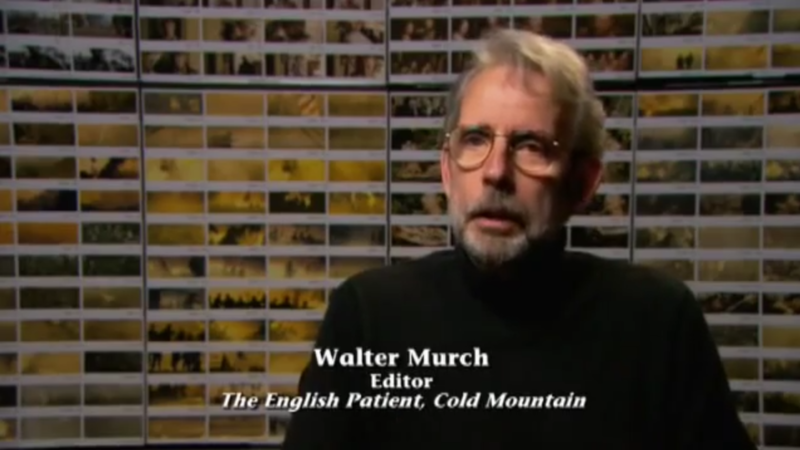 If you wanted them to be printed out like panels behind Walter Murch then you'd have to artwork those yourself probably and insert the images. I wanted to avoid a 2 step process, but it looks like that's the only possible way nowadays. I'm pretty sure you can do this with Quicktime 7. I've kept my old copy around for all kinds of simple stuff like this. There is an Export option that allows you to choose Movie to Image Sequence and the options allow you to choose file format, compression, etc. yes, there was a way to export it ready on a grid, but its been discontinued. best option is to export a sequence o images and then use another software to put it on a grid, like indesign, or bridge I think does a pdf in grid if you want, instead of 1 image per page. I'm sure if you're doing this, you are only rendering very key frames of the scenes right? instead of all frames.